TV4 is Sweden´s largest channel financed by commercials. It offers a wide range of programs like news, sports, drama series, sitcoms, entertainment, current affairs, feature films, documentaries and phone-in shows. TV4 is a Swedish television network. It started broadcasting by satellite in 1990 and, since 1992, on the terrestrial network. In 1994, TV4 became the largest channel and remained so for a number of years. The two channels of Sveriges Television (SVT) lost more and more viewers for a couple of years. But after making schedule changes in 2001, SVT1 had practically the same numbers of viewers as TV4. 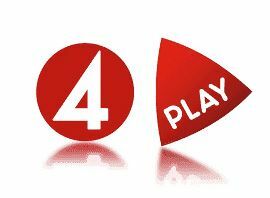 Since 2004 the TV4 Group has been a fully active member of the European Broadcasting Union.